Among the first few things mentioned at an antenatal class is: “Breastfeeding is natural.” So, what happens when you are unable to do something that is supposed to be evolutionarily intuitive? “It tops my list of moments of helplessness,” says Cheryl Fernandes, 41, of Mumbai, who had trouble breastfeeding after a complicated C-section. Other mothers, myself included, recall experiencing a deep sense of inadequacy, guilt and shame when they think back to their breastfeeding struggles. Most information and expert opinions on the subject acknowledge the physical aspects – latching techniques, diet, physiological impediments – that contribute to lactation issues, but few to none delve into the role of mental well-being. For many mothers, this kicks off a vicious cycle: stress from the birth experience can undermine milk supply, which amid a sea of messaging that says a woman’s body is hardwired to breastfeed, can further undermine peace of mind and ability to feed. “The immediate act of a mother after birth is to feed her baby and, if that is not established, she goes into a state called distress. She produces cortisol automatically,” explains Effath Yasmin, an International Board Certified Lactation Consultant (IBCLC) based in Mumbai. That milk production is hormone-driven is key to understanding the role of mental wellness in breastfeeding. While the prolactin hormone stimulates milk supply in the days after birth, at times taking up to two weeks for full effect, it is oxytocin, the love hormone, that aids the let-down reflex. And it’s the latter that shares a love-hate relationship with cortisol. “Studies have shown that the more anxious you get, it kills oxytocin in the body. And that won’t help any breastfeeding experience,” offers Mumbai-based Dr Mugdha Wagh-Shaan, an Occupational Therapist and internationally certified Childbirth Educator, who specializes in antenatal care. That’s because cortisol’s inhibition of oxytocin, and thus of let-down, takes a toll on prolactin levels, says Dr Jayashree Mondkar, professor and head of the Department of Neonatology and Lokmanya Tilak Municipal General Hospital and Medical College (Sion Hospital), Mumbai. “If the breast doesn’t get emptied adequately, then there’s a negative feedback to prolactin,” she says. There’s little India-specific data on the subject, but Dr Unadkat Shah estimates that cases related to milk supply problems in metropolitan hospitals, where she consults, have risen from 20 to 40 percent over the last five years. While this hormonal cause-and-effect is proven, it’s not common knowledge within the medical community, outside of specialists. The subject of lactation within the MBBS course curriculum is limited to basic physiology and hormonal functions. Dr Unadkat Shah says that a detailed study on lactation in nursing courses could do much to minimize the on-the-job learning curve. “More training is required on the basics to detect postpartum mental health issues including those related to breastfeeding,” says Dr Michelle Frank, director of Women’s Health at SHEROES, an India-based, women-only community platform with more than 14 million members. In its absence, empathetic interpersonal skills could go a long way to supporting breastfeeding women, but they are seldom taught. “The breastfeeding workshops [for medical staff] at many hospitals are more about physiology – not how to conduct yourself with a patient. You can learn this, but it’s up to the individual,” says Mary Kolembel, Nurse Officer and certified Midwife, at Lilavati Hospital in Mumbai. In her three decades of experience, she says, nursing education has become more textbook- than patient-oriented. Without sensitive, knowledgeable clinical support, women turn elsewhere. The intimate nature of breastfeeding, coupled with urban nuclear family dwellings, makes the Internet a popular source for help. Aware of this, Adhunika Prakash, a certified lactation counselor, founded Breastfeeding Support for Indian Mothers, or BSIM, in June 2013. The digital platform seeks to create a peer-to-peer network of expectant and breastfeeding mothers to share experiences and knowledge and thus enable informed decision making. “Online forums reduce the distance women would have to reach in order to receive assistance. Mothers who have experienced the same can render expertise and guide other women to seek the right type of professional help,” says Dr Frank. Yasmin agrees that so-called ‘lactivism’ has turned breastfeeding into a numbers game that can skew women’s focus toward milk quantities, detracting from their enjoyment of breastfeeding as a mother-child bonding activity. In a country with a maternal mortality rate of 130 deaths per 1 lakh live births, mothers’ mental health and its relationship with breastfeeding may seem like a problem for only a certain segment of society to wring its hands over. But given that institutional childbirth conditions can be even more traumatizing for low-income women, it’s a problem that crosses socio-economic classes, even if some face more obstacles to successful breastfeeding than others. In India, only 42 percent of children born in the five years before 2015-16 were breastfed, as recommended, within the first hour of birth; only 55 percent of infants under age 6 months were exclusively breastfed. A 2018 study, published in the International Breastfeeding Journal, seeking to understand the determinants of exclusive breastfeeding in rural South India, found mothers most frequently citing an insufficient milk supply as the reason for supplementing breast milk with formula feeds, or stopping altogether. According to the World Health Organization, optimal breastfeeding could save more than 8 lakh lives globally, every year. The protective nutrients in breast milk would also help prevent close to half of all diarrheal diseases and a third of respiratory infections in children in low- and middle-income countries. In India, the Bill and Melinda Gates Foundation estimates that doubling exclusive breastfeeding up to the age of six months could save 1.36 lakh lives annually. Experts differ on solutions to better supporting maternal mental well-being and through it, lactation. Dr Unadkat Shah, who has conducted breastfeeding educational workshops in conjunction with the WHO, UNICEF and the Breastfeeding Promotion Network of India (BPNI) Maharashtra, believes a fixed team for the maternity department is a sustainable approach. (Currently, in many hospitals the nursing staff rotates between departments, making on-the-job breastfeeding training an unfeasible constant.) She emphasizes the importance of consent in clinical care – from birthing to breastfeeding. “We have to respect a woman’s choice for her body/baby,” she says. Informing the mother of the variables unique to her specific situation is key to comforting her state of mind, experts say — for instance, how a C-section birth, or birth trauma, could affect when milk supply kicks in. Yasmin advocates for working in tandem with the mother’s support system at home. “Mental health has to be addressed subtly and handled with highly equipped counselling and therapeutic support,” she explains. And Dr Mondkar calls for the integration of lactation counselors into clinical settings. In some hospitals, it is already happening, albeit slowly. In the past 10 years, the number of certified lactation consultants in India has increased, Dr Unadkat Shah says. At BPNI, there are dedicated teams that see lactation counselors working alongside doctors and mother-support leaders. “We are getting better,” she says. 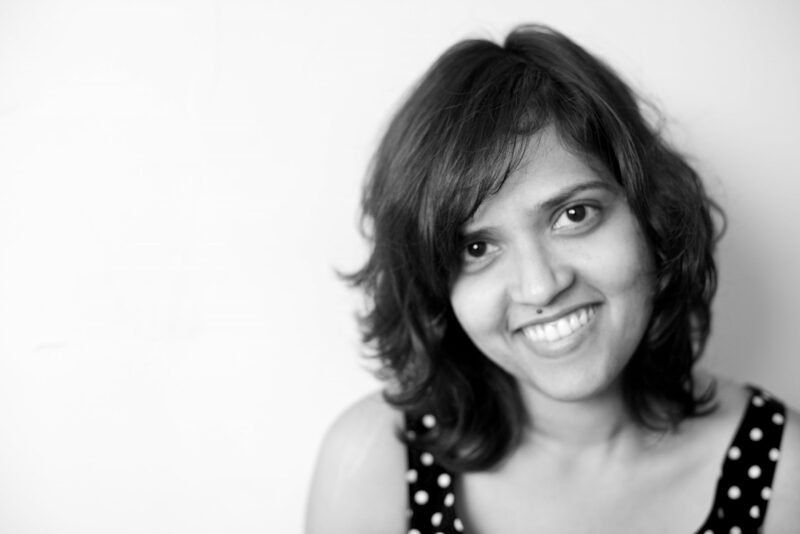 Gretchen Ferrao Walker is an editorial consultant who has collaborated with Indian and international publications like GQ India, Forbes India, Time Out, Architectural Digest India, National Geographic Traveller India, Design Anthology and Collectively.org. She is the former editor of travel bimonthly Time Out Explorer and current mum to a 2-year-old. She enjoys embroidering and making pictures.